I have been on a grueling search for the perfect black dress. I don't wear a black dress that often, which is why I don't want it to be super expensive or so dressy to where I can't wear it often. I feel like I have the ideal image of what I am looking for in my head. I don't want it to be boring. I would love to see a bow, a ruffle, a scalloped hem, a swiss dot print, just something cute! Looking at this picture above basically describes how I feel about this black dress business…confused! There are so many to choose, but not one that meets my picky demands. I'm also trying to meet a deadline with finding this dress. Here are my favorites ones, my "I wish they were available" ones, my "someone please buy this for me" ones...the dresses at the top of my list! 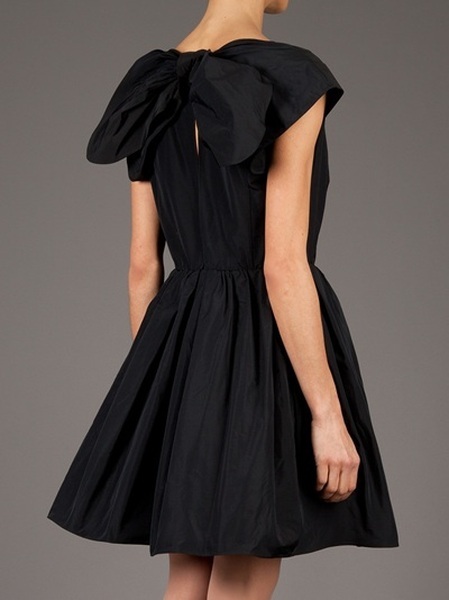 Red Valentino - Perfection of a dress! The bow, the ruffles, everything is perfect…except for the price. ASOS - So pretty, but sold out. Thanks to so many Instagram friends, I was able to add a few to the list. Hopefully one of these above will help me wrap up this black dress business. Which is your favorite? Don't forget to enter the Pink Pineapple Shop Giveaway and shop with the code "preppySOM" to save 20% off your purchase. Have you tried Forever21? They may seem a little edgy, as they usually do for me, but a bit of hunting has come up with really adorable black dresses that I can't live without. Guess has some amazing dresses! 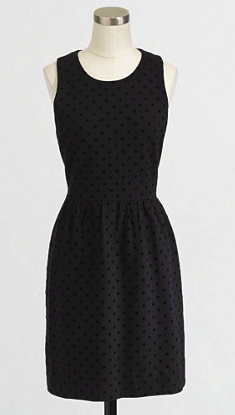 I really like the Bloomingdales dress and the swiss dot dress! Good luck finding a dress; I feel like I have the same issue as I never wear black! Target normally has great ones that work well for multiple seasons...I have a sweater dress from there that is perfect for all seasons and pref! The Swiss Dots is adorable and seems potentially great for many other events!! I missed out on that J. Crew dress in navy so I might have to purchase the black instead! As a side note, have you looked at Banana Republic? 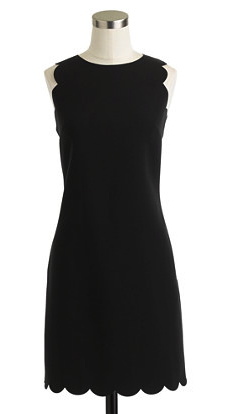 They always have a selection of black dresses and the new Issa collection has several options. Oh that RED Valentino one is AMAZING! What a darling bow detail. I'm also dying to get my hands on scalloped J.Crew number... so versatile that I think it's definitely worth the price!